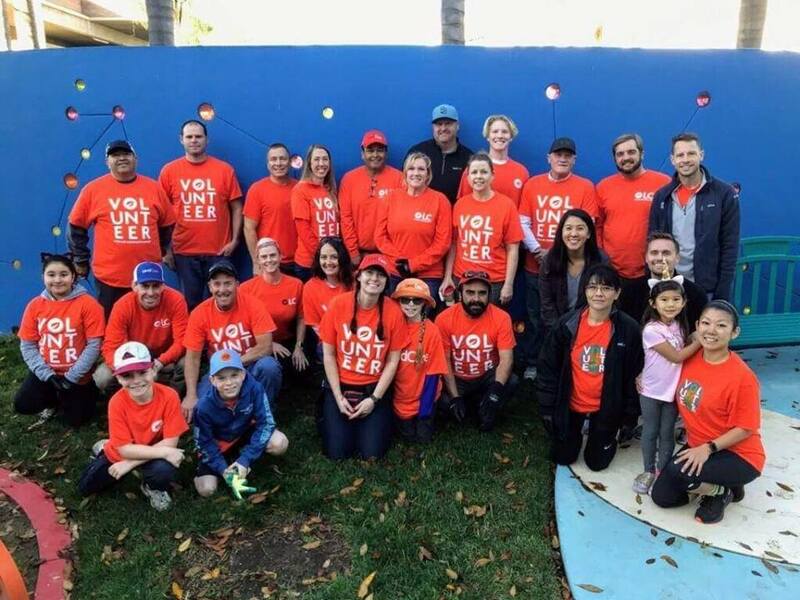 Three LandCare teams recently designed and installed a new landscape for The Leichtag Family Healing Garden at Rady Children’s Hospital, a nonprofit healthcare facility dedicated exclusively to pediatric care and research in San Diego, to kick off CommunityCare Day in 2019. 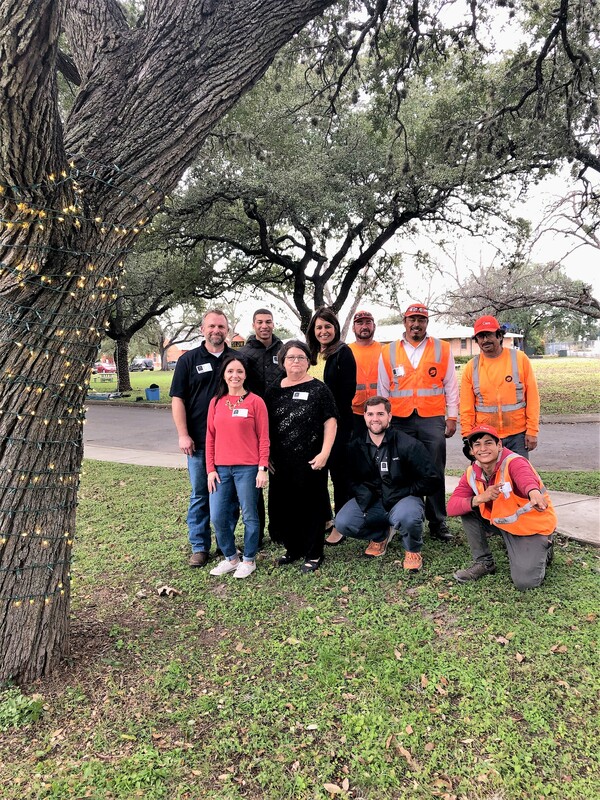 LandCare teamed up with BOMA San Antonio to install holiday décor & lighting around St. PJ’s Children’s Home, a short-term emergency shelter for children experiencing abuse or neglect. 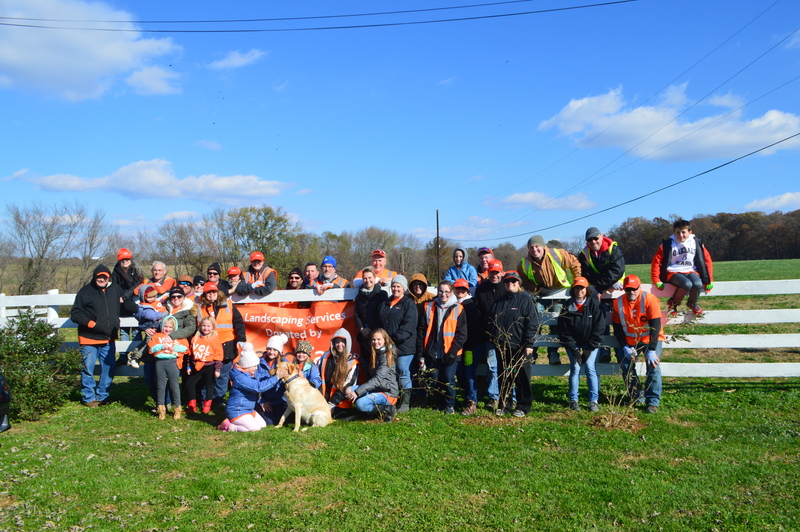 As part of their 2018 CommunityCare Day project, 40+ LandCare Support Center team members and their families provided renovation and enhancement services to the Warrior Canine Connection (WCC) Healing Quarters in Boyds, Md. 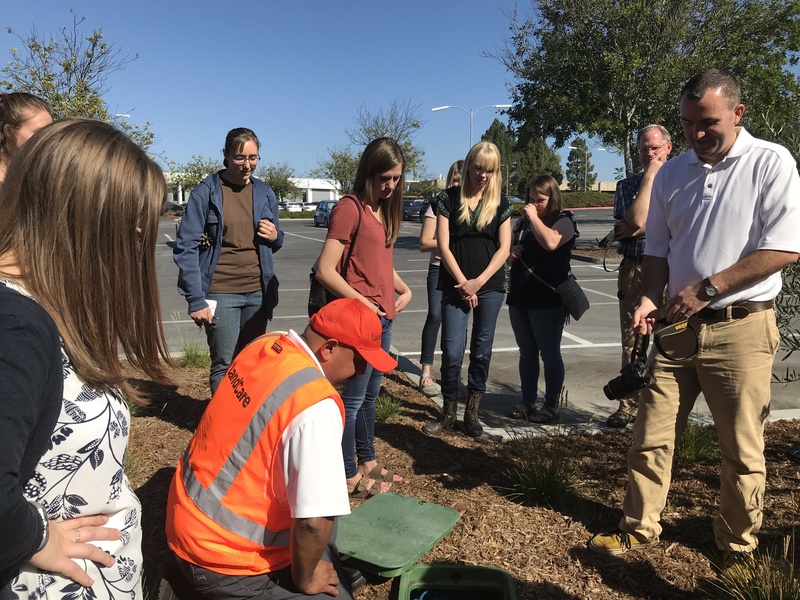 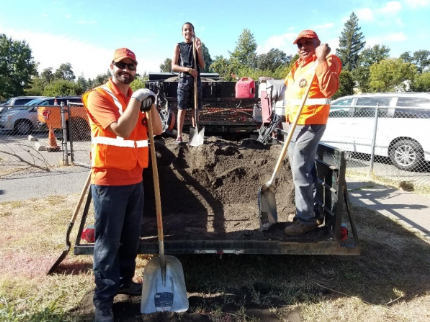 LandCare managers recently hosted 25 horticulture students from BYU-Idaho at the Rancho Vista Corporate Center in Rancho Bernardo, Calif. to teach the group about a recent renovation completed on the property. 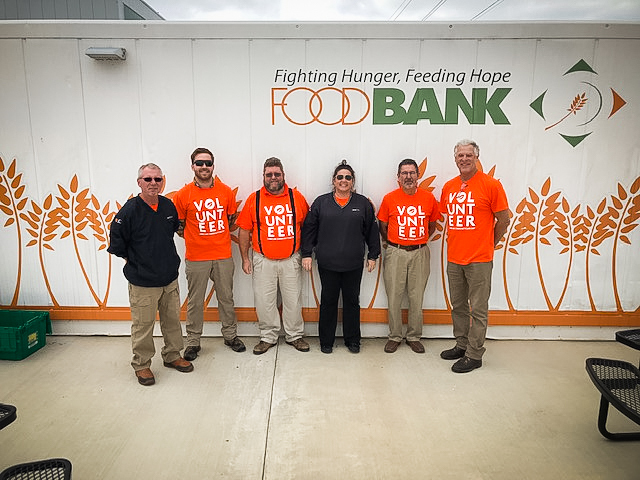 The Tulsa branch put a horticultural twist on CommunityCare Day, cleaning out and replenishing ‘growtainers’ at the Community Food Bank of Eastern Oklahoma to prepare their indoor farms for the next round of hydroponically-grown produce. 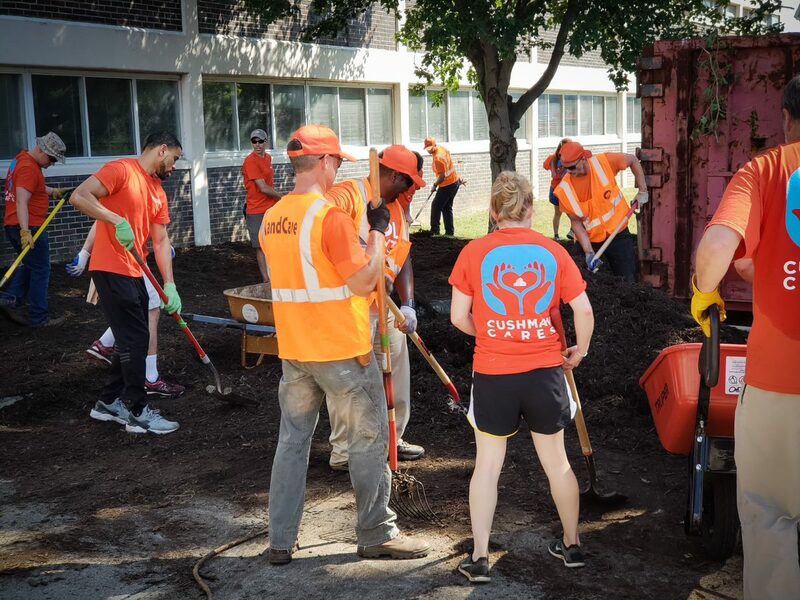 Two LandCare teams recently partnered with property management company Cushman & Wakefield to renovate the Evolution Center, a non-profit facility that provides emotional and physical support for men experiencing chronic homelessness in Atlanta.